While Jews have long had a presence in Ethiopia and the Maghreb, Africa’s newest Jewish community of note is in Nigeria, where upwards of twenty thousand Igbos are commonly claimed to have adopted Judaism. Bolstered by customs recalling an Israelite ancestry, but embracing rabbinic Judaism, they are also the world’s first “Internet Jews.” William Miles has spent over three decades conducting research in West Africa. 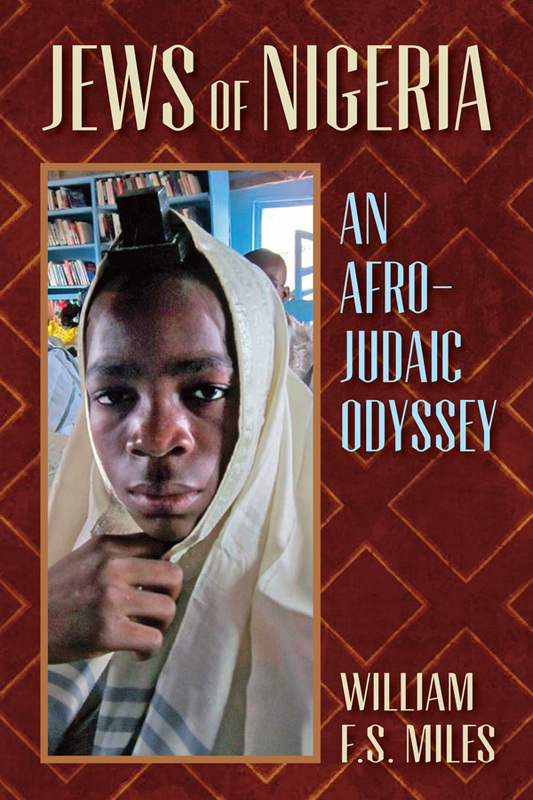 In Jews of Nigeria: An Afro-Judaic Odyssey, he shares life stories from this spiritually passionate community, as well as his own Judaic reflections, as he celebrates Hanukkah and a bar mitzvah with “Jubos” in Abuja, the capital of Nigeria. A concluding encounter with laureate Chinua Achebe reveals unexpected family connections to one of the most intriguing Jewish and African communities to emerge in modern times. William F. S. Miles (Northeastern University) is the author of Afro-Jewish Encounter from Timbuktu to the Indian Ocean and Beyond and ten other books.